Home / News / LOVE MANIA, OR DON’T? Legendary pop-punk band Fall Out Boy dropped their latest album on January 19, and it may just be their most controversial yet. Fans and critics alike have compared M A N I A (or, Mania, as common people will refer to it) to 2008’s Folie à Deux in many aspects. But does Mania measure up to Folie’s successful experimentation and mix of genres, or does it fall flat in places where Folie gave us soaring high notes? Personally, I would say the greatest tragedy of Mania was the order and release of its singles. “Young and Menace” was, well, a menacing way for the band to return. 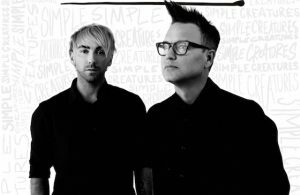 Fans were expecting a comeback song to be at least inspired by the pop-punk hits we fell in love with. However, “Young and Menace” did not deliver on nostalgia or even musicality. 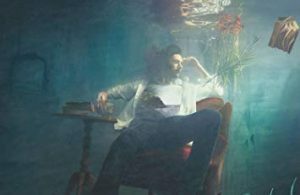 Its precipitous electronica drops and scattered structure both alienated and confused Lake-Effect Kids, who probably thought the band shouldn’t have gone “half this far”. Sadly, the second single is worse for the opposite reason. While “Young and Menace” takes a left turn into pitched-up vocals and departs from everything that once was Fall Out Boy, “Champion” might have been more disappointing for its lack of experimentation. 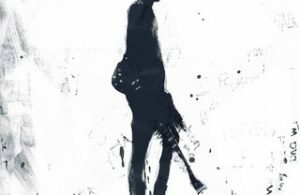 It felt just as thrown together in a different way, as if the band thought this sound was what people wanted and spent a few minutes in the studio writing a consolation prize. Its concept had potential enough, but the lyrics are overall lacking the nuanced detail that brings FOB’s music to life. Despite its flaws, “Young and Menace”, at least contains a story that keeps you listening. Clearly Mania’s weakest link, “Champion” is too simple, and simply trying too hard. Now, the third single is where the album picks up. “The Last of the Real Ones” reassured me that my favorite band still has it, songwriting power that transports fans into their world, the magic that always brings us back to lyric-driven music. This track has it all, a deeply devoted love story that’s told over a starry piano riff (reminiscent of Infinity on High) to match the song’s numerous space metaphors. This track was written in wet concrete, and I know it will easily fill stadiums for years to come. “HOLD ME TIGHT OR DON’T” is probably FOB’s most successful genre stitching on this album. It’s Latin flavor and Día de Muertos imagery don’t take away from the rock-n-roll passive-aggression on this track. Plus, vulnerable lyrics, like “Were we ever friends?” relay a relatable frustration that somehow makes the song fun to listen to. What takes away from it is the afterthought “na na na” hook that doesn’t really add anything. Unlike My Chemical Romance’s call-to-arms on their “Na Na Na” single, this hook feels like a last-ditch attempt to meet word count. As a huge fan of the band, I was annoyed when I heard that Mania was going to drop four months behind schedule, but after hearing the singles, I wish the band had delayed it further so they could fill it out a bit more. “Wilson” is another song that repeats Fall Out Boy’s winning formula with a little twist to keep it exciting. In this song, FOB creates a glorious found poetry piece by weaving together quotes from the Addams Family, Bill Murray’s Moonrise Kingdom, and a title reference to Tom Hanks’s Cast Away. “Wilson” feels like a throwback to their teen scene roots, with poetic lyrics about self-destruction, audible bass from Pete, and the singalong chorus “I’ll stop wearing black when they make a darker color.” I heard this one live before it came out, and it was so personal that I felt like the song had been written for me. “Stay Frosty Royal Milk Tea” brings listeners into the ultraviolet mood of this record. With a thumping beat, fast-paced lyrics, and an air of arrogance that conveys frenzied urgency, you can really feel the mania on this one. This album trades away the theme of depression that dominated older records and instead illustrates the upswing of Pete Wentz’s bipolar disorder. If I had to pick one track that encapsulates that reckless abandon and in-the-moment intensity, it would definitely be this one. Additionally, after hearing this song, I want FOB to do a whole album in French. I just hope they don’t release a fragrance called Eau de Résistance. That would be too much. Patrick’s vocals on this one are especially soulful, reminiscent of 2008’s “w.a.m.s.”. His shuddering low notes and floating falsettos are surprising and evocative. And yet, we can still feel the song’s desperation in moments where the pop-punk grit comes through. “Church” needed more lyrics for the “get on my knees part”, which is why “Heaven’s Gate” beats it out for my #1 spot on the record. 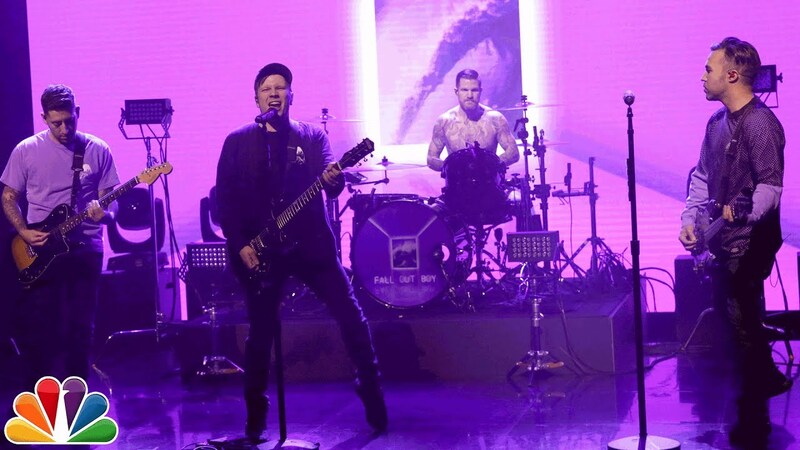 It stands alone with its R&B vibes, revealing Patrick’s blue-eyed-soul side and allowing drummer Andy Hurley to drive the instrumentation. Track 8 is a puzzler. “Sunshine Riptide” is oddly paced for an FOB beat, it tries and fails to be cool by playing a line backwards, and contains the only feature on this album. Burna Boy’s reggae-style verse feels forced and is totally out of place. It’s barely integrated in the song, which makes the whole thing choppy and difficult to understand. Some good lines are wasted in this messy song, which is too fast to pack a punch. The lyric “I love you so much” was plain lazy, which Wentz rarely is. However, I really like the crashing wave sound at the end. That almost makes up for the whole song, to be honest. I had high hopes for the last song on this album, and though critics and fans alike seemed to enjoy it, I was underwhelmed. “Bishops Knife Trick” attempts to come across as optimistic, but it goes nowhere and leaves listeners unsatisfied. The concept of the chorus, “The glow of the cities below lead us back to the places that we never should have left” is cliched and purposeless, and there are no impressive high notes there to redeem it. This song is a too-obvious choice to be last on the record, due to its annoying one-line post-chorus; “Young and Menace” would have been a much better choice for a bookend. The last line of the album could’ve been “We’ve gone way too fast for way too long”, which is an ingenious way to finish an album about mental illness, but instead ends with echoes of “the last”. The album goes out with a fizzle instead of a bang. Worst of all, they missed the apostrophe in “Bishop’s”, which I normally would forgive. However, this track was so lazy in so many ways that I can’t overlook it. Overall, Mania is anything but cohesive, and this somehow makes it more interesting. Ironically, this album is erratic, confusing, messy, and warped, similar to the manic state itself. Perhaps the message of the record lies in its design, or lack thereof. It appears to be a series of reorganized fragments, with embellishments of Latin pop, reggae, dubstep, and electronica duct-taped in odd places. Like its problematic predecessor, Folie à Deux, it conveys a glassy-eyed state of mind with strange chords, unexpected progressions, and tangible emotion. Unlike Folie, the guitar and bass on this album are weaker than ever, the music is not terribly complex or layered, and the repetitive lyrics leave much to be desired. Right now, Mania is considered highly divisive because of its daring experimentation, but who knows? Perhaps, like Folie, it will eventually be considered brave and innovative rather than sloppy or premature. Either way, I hope FOB doesn’t take another hiatus like they did after the poor reception of Folie, which has become something of a classic in its own way. Let’s see if Mania improves with age. And catch FOB on the MANIA Tour!